They also showed us the new "Bremer Stadtmusikanten" bead, specially made for them, which is representing the fairy tale figures of the Grimm's faery with the same name. I really liked it on a fanta and thought it is nicely made. If you are interested, i.e. Katzenmaier offer the for pre-order and I could assist if needed. I have seen that Endangered has already the details... Besides there will be a German exclusive lavender blue diamond bead as well, at least that is what the sales rep told us and showed us the versions she could choose from and what she selected. What a stunning collection of bracelets Puschkin63, very pretty. I am very curious about the conceptstore and their collection, is it from the new distributor or HQ Denmark? 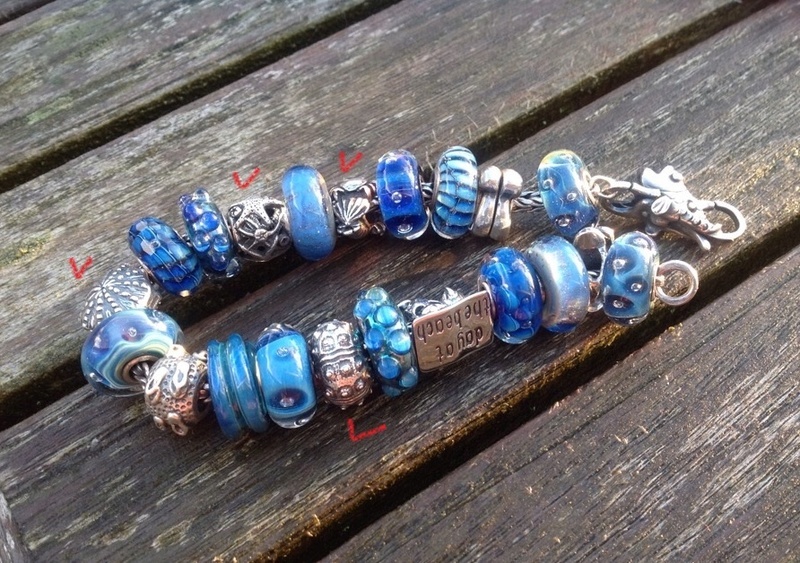 Ooh, how fun to see *all* your bracelets & to hear about the goodies and upcoming beads! Thank you for sharing all of that! Sounds like you had a great day out - and really nice about the gifts you received. And thank you for showing all your combos! It's fun to see all the beads you used- and seeing your green combo reminds me I should put one together for St.Patty's Day this weekend! This is 'some' bracelets?! Wow! What a great topic with some lovely bracelets! It must have been great to see the new bead an obtain the book! Time must have gone quickly with other Trollbeads friends! Love seeing all your pictures!! And your bracelets all together- divine! I heard that the diamond beads were only available at an event in a German store? Not online, or in other stores. Oh, just a few bracelets. How do those keychains work? Are they leather or rubber or? Good afternoon! You have very beautiful bracelets! Very joyful! Tell please, and brand what these beads? I will look for! I adore bowerbeads! Must be! (I don't have any bowers but they seem so well made.) Looks super cute even flipped! Really like the two blue bracelets.